This was definitely a fun experience! I love the feeling of binge reading an entire series, even if said series is probably still ongoing. Because now I have something to look forward to when Maggie Shayne publishes the next book in this series. I'm so excited! This was a fun and lovely series I really, really enjoyed, and I look forward to the next time our lovely hosts present this challenge, because I'm game for it! 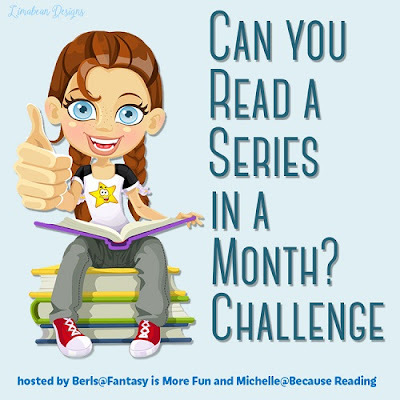 I had a lot of fun with this challenge as well and am glad that I did it because I had a blast with the books I read. I've read some Maggie Shayne a long time ago, but not recently. Glad you enjoyed these so much! This challenge definitely was fun! Binge reading an entire series makes you feel kind of accomplished, in a way, doesn't it? And this series was so much entertaining and enjoyment! You did great with this challenge. I've been wanting to read her books and this series sounds really good. I completed the challenge too but I was disappointed that the books didn't turn out as good as I hoped. But at least I finally read them. Thanks! It feels good to finish a whole series you'd been wanting to read. This challenge gave me the motivation to do as much and I'm so glad I did. I definitely recommend this series; Rachel is such an awesome main character: fun, spunky, and snarky! That's great you managed to read all the books in this series so far! 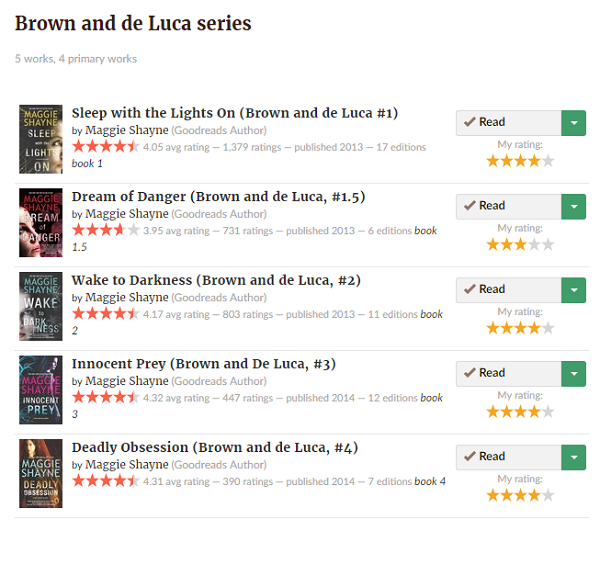 I used to binge read a whole series more often before blogging, now I hardly make time for that anymore. I do hope to participate next time this one is hosted. I've noticed that I read a lot less when I started blogging more, and I'd become pickier about what books I read, as well. But it was a lot of fun just binge-reading the entire series, though I had to make time to review them as well. It probably helps that this was a good series, so I had a lot of fun reading it. Hope you get a chance to participate next time. I'm going to look forward to the next time they host it.